When I was a kid, I felt like there was so much stuff coming at me from all directions: English homework, Math homework, Socials homework, etc. I think that I felt that once I reached adulthood, things would calm down and there wouldn’t be so much stuff all at once. Do various other things I can’t remember right now. Yeah, it’s a lot of stuff. I really envy my 12-year-old self right now. 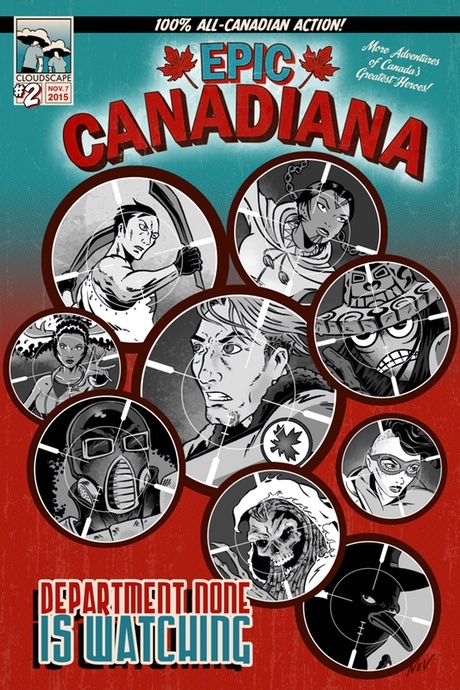 But on a positive note, here’s a picture of Epic Canadiana #2, my new anthology of Canadian superhero comics, edited by me and with stories by me and numerous other great writers and artists. Go team! This entry was posted in News and tagged Cloudscape Comics, Epic Canadiana. Bookmark the permalink.